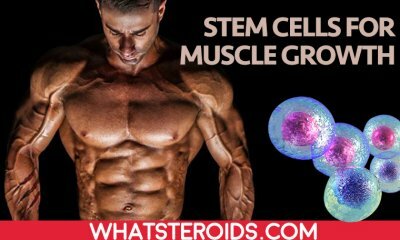 There are many people talking about not being genetically gifted and mentioning this fact as the main barrier to muscle gain process. 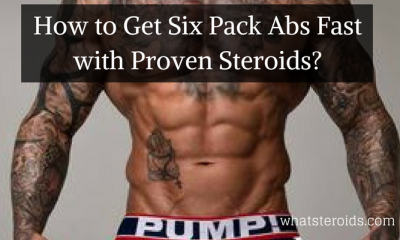 That’s is why in this article we will talk about how to increase strength and mass in case of these people and will find the most appropriate exercises for this category. This category of people is also called hard gainers, as they tend to have difficulties in putting muscle on them. But, the main issue that tons of these people use it as an excuse for their inability to quickly gain strength and muscle mass. Most of them will tell you that they can not do it or they do not want to do it. these expressions are quite popular in their vocabulary. Also, they tend to put the success of other athletes on good genetics and chemistry. 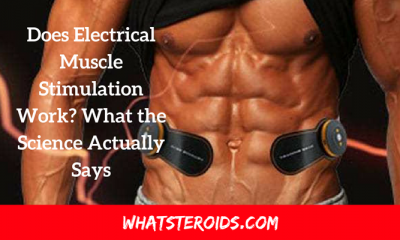 The truth is that about 98 percent of people training in the gym or home have no prone to muscle growth. 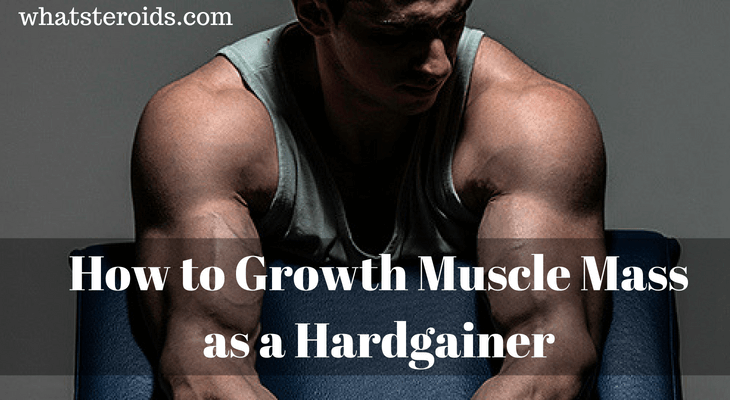 So if you consider yourself a hard gainer, you are not in a minority. The first thing you should do on the way to the results, it is to forget about the harmful idea that you possess some hidden problems with growth, which the rest of the world has consistently failed to notice it. You should start finally to tell yourself that you can do it or, better yet, you will do it. - eating large amounts and fully, especially places emphasis on quality sources of protein. Have to be mentioned that most training programs include only one approach in one exercise for individual muscle groups. Approaches are performed in large part by 6-12 repetitions to complete failure. Further, you will see a typical training program for people not genetically gifted or, also called hard gainers. 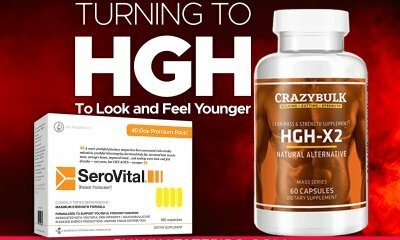 You can perform it twice a week, combined it with correct nutrition diet. Even it seems quite simple, this program perfectly fits many people. Be aware of the fact that you do 20 squats for real, with good breath, it will no doubt give some results in strength and weight gain. However, if you are one of these people who already tried this program and got no results, you have no reasons to worry about. There are many other ways to get your lean muscle mass increased. You have to know that this program is probably one of the best for bulking and growing strength in the average athlete. It involves a lot of ways of working, for example, the old-fashioned system of 5x5, heavy approaches for a couple reps and light, breathing approach, plus modern negative and partial repetition, and many other tricks. You have to be patient and use it for at least six-seven weeks. Only then you will see visible results of your hard work. The program uses a triple-split, namely, the workouts are organized three times a week. If you find this exercise program too tiring for you, you can get more time for resting. Namely, you can take a pause of two days, after each exercises training. Further, let’s see the specific of workout for chest and back. 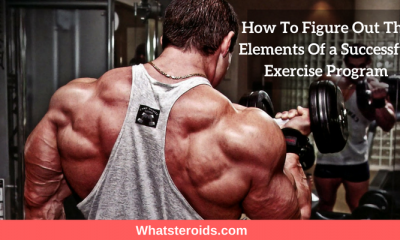 The workout for these body parts may be characterized as being essential and heavy, these elements being namely what every average athlete need in order to achieve great results. First of all, start your exercises program with a ten minutes warm up the process. You have not to perform nothing heavy or complicated, just to raise the heart rate and warm up the muscles. For example, a short trip on a stationary bike or something like that. The warm-up stage is the same for all three workouts. After warming up, start training with the bench press, this being one of the most common types of exercise. Start with a light warm-up approach by 10-15 times with a blank fingerboard. Take a pause of one or two minutes and make an approach to five times with a weight that you can lift ten times. In case of approaches for working in the bench press, you need to use the scheme 5/4/3/2/1. Load on the neck weight with which you can do five reps, and make the first approach. 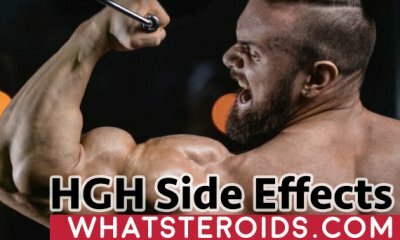 After two to three minutes of rest, add weight to the bar, according to your weightlifting abilities, and perform 4 reps.
Must Read: How to Bench Press Properly? After few minutes, add the same weight, let’s say for example 5 or 10 kg, and perform three repetitions. The next 2 approaches perform with the same weight for two and one repetitions. The main rule that has to be followed here is to increase the initial weight every week, little by little, at least for a kilogram. 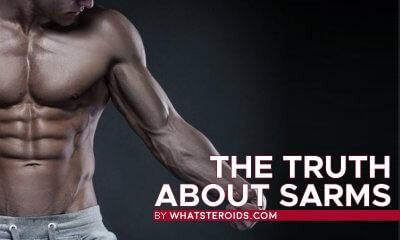 Most of the bodybuilders are afraid to do one repetition approaches, considering that this is only characteristic for weightlifters, but this is not true. Further exercises in this workout program will be incline bench press. Comfortably set yourself under the bench and take two dumbbells, which weight would allow you to perform five reps. Then, put near to you two pairs of dumbbells, lighter and more easily. For example, if the first pair of dumbbells has 30 pounds, then the second and third would have around 22 or even lower. The right way to perform this exercise is as follow: take the hardest weights, lie down, and perform five reps. Immediately after this, without taking any pause, take a middle pair of dumbbells and do five reps, then do the same thing with lowest weights. 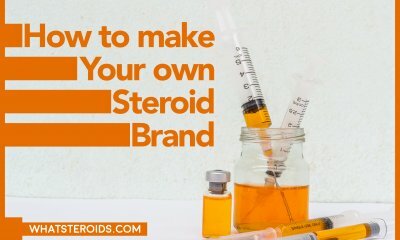 You have to know that this method of execution has been always popular as a part of intensive training, especially in case of experienced bodybuilders. 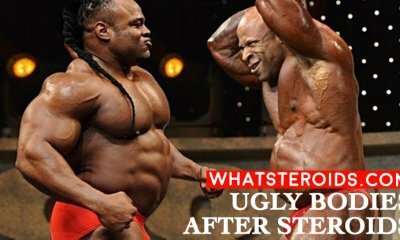 It was proved to be a very productive method to increase muscle mass and strength, but the golden rule does not overdo it. It will be quite sufficient to perform one such approach. Next step would be a five-minute break after this would be the perfect time to train latissimus muscles. For this purpose perfectly, will fit some solid traction movement, such as thrust rod to a belt or pull the tilt with a T-bar in the same method 5x5. In case of this method you have to perform two approaches to warm up, five approaches with increasing load, and three sets with maximum weight. To be more clear, we will take an example. So, you can do thrust belt of five reps with a weight of 100 kilograms. After this, your pyramid starts with 60 kg five times, then go to 80 kilograms, and five times on three business approach with a weight of 100 kilograms. In case of each operational approaches, you should try to do five reps. When you can easily do five repetitions in the three approaches, it is necessary to lift weights. 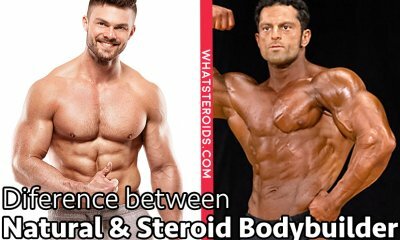 The type of system is quite simple, but it gives great results in muscle growth and strength. Have to be mentioned that this is the only type of exercise back’ muscles. As you know already, you have to take a five minutes before going further to another type of exercise. So, after you take this pause you have to perform heavy barbell shrugs. Here you will do five or even six approaches with one repetition. Like in above case, weights have to be increased progressively during the exercise performing, beginning with the lowest and ending with the hardest one. It is very important here to understand that despite the exercise is performed using very heavy weight, the technique of execution must be accurate and correct. Thus, always try to follow this recommendation: do each repetition to the bitter end, while lifting your shoulders as high as possible, clearly straining key stoning at the top of the movement and slowly lowering the weight down. The second exercise program for increasing and strengthening the hip and lower back muscles. Like in case of first workout routine, you have to start your training with a warm-up stage. You can opt for a bike, and then do squats. Squats are performed in the same manner as the draft in the previous exercise. The squat is considered a heavy type of exercise. That is why if in the latest approach, you would be able to perform two or three repetitions, that's will be very good. Do the exercise in this mode as long as you can do with relative ease all three approaches, then you need to lift weights. Perform each exercise with accurate technique, deep enough - to the parallel thigh floor. Do not forget that the squat and deadlift which is the most productive of all the available exercises. For the average athlete is a great tool for mass-building. After a five minutes break, dip exercises will be the next you will perform. Place the rack on a height to the whole of the range of movement you had to do the last 12-15 centimeters on the way up. In this exercise you are doing approaches with one repetition, so do five or six approaches to the ever-increasing load until you reach 95% of its maximum. The third and final exercise in this exercise program is the deadlift with 20 repetitions. After a few warm-ups of light take a weight that you normally lift 10 times and do 20 reps with it. During each repetition should be done at least two deep breaths. By the tenth repetition, you no doubt the need for five or six breaths. Deadlift is considered a very hard type of exercise, thus performing only one approach will be quite enough. In addition, it is a very effective exercise, so it must be performed by every man looking to increase muscle mass. You will find on this blog a separate article about the benefits of deadlifts on building muscle mass. Also, you find there the right way of execution. Take the first step and perform a short warm-up exercise. Only after this, you may proceed to the training of hands using different techniques. The most useful exercises for building arms muscles are considered barbell curls and close grip bench press, both performed by the scheme 5/4/3/2/1. Firstly you should perform two exercises without weights, doing for warming-up two approaches. Then hang on the bar weights for five reps, doing curls approach. After a break of few minutes, perform approach to five reps of close bench press grip. So, you have to perform five sets, gradually increasing the weight on both rods. This is one of the most effective methods. After doing exercises for arms, you can go further to train deltas muscles. For this purpose are recommended standing chest press. In the standing position in front of the squat racks, get them from the bar, and put them on the chest. Begin to perform jog presses, helping yourself to the initial phase through the movement of the legs. Would be great to perform 4 approaches of bench presses till the complete failure. First of all, add weight on the bar for eight repetitions. During the third approach, you have to do five reps, and no less than this. For diversification, the barbell can be lowered not only on the chest but over the head as well. 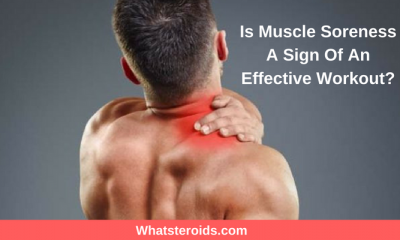 But this hardly depends on the condition of your shoulder joints. As you see the last type of exercise program looks easier than the above ones. 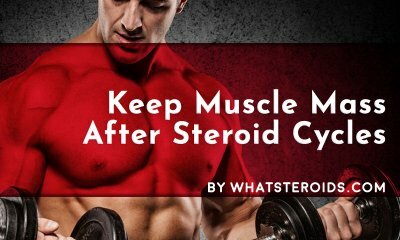 Despite this, it has great effects on muscle growth. If you will combine these workouts with enough resting and qualitative food than in few weeks you will observe the results. Also, enough resting will allow you to come to the gym in few days with and new power. Also, it is very important to notice that you have no to skip any workout, just because you are not in the right mood to exercise today. Perseverance is the key to build an attractive muscular body! 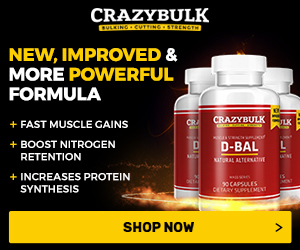 How to Avoid Muscle Catabolism?